NEW YORK: The more things change, the more they remain the same. Take for example the miscommunication between Coach Stephen Francis and his star, or would-be former star pupil, Shelly-Ann Fraser-Pryce. Coach Francis exemplifies the stereotypical “one-woman-man” syndrome, which is frowned upon in a Jamaican male-dominated society. The argument stands by itself and should not be explained to the death. relative unknown. 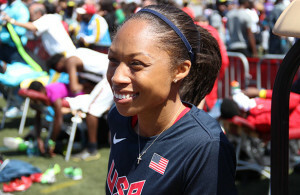 Simpson had arguably her best individual track season, which landed her near the top of the ladder at the 2008 Olympics. Of course, before that, she was world Number One, won medals at every global championship including the Commonwealth Games and Pan-Am Games. All in all, she medaled at three Olympic Games. Francis rode high on the success of Simpson and the accomplished and more famous Asafa Powell. These two and a handful of others brought the now world-famous MVP (the Francis club) a high level of success. In reaching that success, therefore, no one can question the coach’s incredible technical know-how. His method is tried and true. By his own admission, he prefers to work with athletes who might need added attention and help to reach full potential. His record speaks for itself: National titles, Pan-Am, Commonwealth, World Championships, Olympics and world records. He has done it all. Today, he is the world’s premier sprint coach. But aside from his prowess in sprint training, he has a credible record in both hurdles, the high jump, along with minor marks in other field events. This man’s got game. Historically, Jamaica has had a number of great male athletes, especially sprinters. However, there have always been an alpha male and a smaller, accomplished supporting cast. Think of Herb McKenley (in terms of a sprinter), Dr. Lennox Miller, Don Quarrie, Raymond Stewart, and for a period, Asafa Powell. They carried the mantle of the great Jamaican male sprinter, at times—single-handedly. In Powell’s case, he was surpassed by the incomparable Usain Bolt. Conversely, our women have had the distinction of stiff national competition, with at least two of them sharing ascendancy at the same time: Rosie Allwood and Lilieth Hodges, Merlene Ottey, Grace Jackson and Juliet Cuthbert, Veronica Campbell-Brown and Simpson, and, lately, Shelly-Ann Fraser-Pryce and Elaine Thompson. It is quite unusual to have two greats, who, at the same time, are guided by the same coach. That is where Coach Francis again comes in. As said before, in the summers of 2006/2007 and arguably 2008, after Coach Francis pulled the proverbial rabbit out of the hat, by guiding the unknown Simpson to international stardom, he had widened his dragnet. When young Fraser-Pryce came onto the scene in early 2008 under the tutelage of Francis, she was a surprising second in the race for the national 100m title behind Kerron Stewart. She pushed Simpson to the third spot and relegated Campbell-Brown to fourth place and out of contention as a national representative in the individual 100m for the Olympics. Not many enthusiasts gave credence to the sprint juvenile. But the controversial coach stuck to his guns and promised great things from the physically pint-sized sprinter, who, along with the aforementioned Hodges and Powell, are a trio of some the world’s greatest starters of all time. Stephen Francis is almost always right about the exploits of his charges. He is right about how an athlete should be coached. He is not the world’s Number One for nothing. To be fair, however, there are ‘chinks’ in his armor. There have been whispers about his controlling manner, that athletes are penny-pinched. That is not the purpose of this article, and there is no one on record confirming those allegations. What is true, however, is that he has no working relationship with his Jamaican counterparts or the JAAA, the Jamaican body that controls track and field. If there was ever a criticism about Coach Francis, it would be his inability to simultaneously work with more than one super female sprinter (One-Woman-Man syndrome). In 2006 to the latter part of 2007 when Simpson was burning up the tracks all over the world, she reigned supreme at MVP. Simpson, a fragile sprinter, suffered many injuries over the years, but she established herself as one of the world’s top sprinters of the last quarter of a century, in my opinion. The working relationship between athlete and coach, at least on the surface of it, was flourishing. Later on when Fraser-Pryce entered the picture, I secretly wondered if the two stars would ‘enjoy’ working together. Here is an established Simpson and a younger, fresher-faced debutante, with a world of charisma. How could they work together? Would Francis be the glue that binds them? 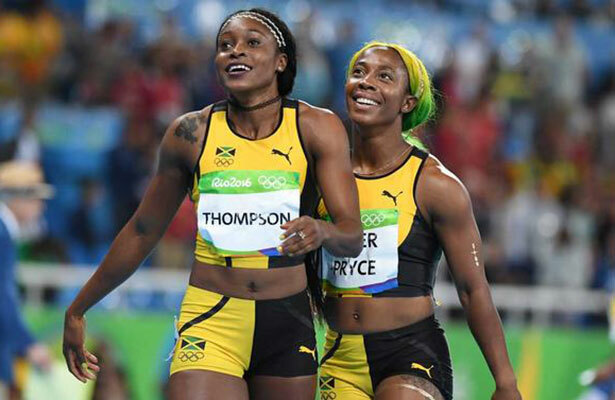 I assumed that there would be problems, because, in Jamaican parlance: ‘Two bulls can’t rule the same pen,’ if one can use such crude terminology to describe a couple of the most famous sprinters in the world. Fraser-Pryce has gone on to eclipse everything that the former achieved including winning two Olympic 100m titles, three World titles and gold and silver medals in the longer 200m in global events. Her records in other areas are staggering, and when the history is tallied, she will lay strong claim to being the greatest short sprinter of all time. And her career continues. About two years ago, an incident occurred that involved both Simpson and Asafa Powell, leading to their departure from MVP. Neither has had the continuance of the high-flying career to which we were accustomed. In 2016, Powell failed for the first time to represent Jamaica in an individual 100m since 2003. Simpson, currently on maternity leave, however, won the Pan-Am 100m title in 2015, during that sabbatical. Fraser-Pryce, on the other hand, suffered from a nagging toe injury which might have prevented her from winning a third straight Olympic title. When it was disclosed (before it was reported that Fraser-Pryce may yet stay with the club) Coach Francis said: “Over the years, athletes that I have coached quickly developed a sense that their coach is reduced in their mind, no matter how lowly a beginning they had. Eventually, in their mind, they believe that they are extremely talented and my role is incidental to their success, and it is human.” That to me, is sarcasm at its best. The devil is in the detail. There might not be outward jealousy between these two rivals but the two-time Olympic champion might find it more than a little disconcerting that she was ‘forced’ into a backseat role and Thompson is front-seat chauffeured. The latter might rightfully feel, as regards her recent accolade, that this is her time. The tale of two cities? Is the former experiencing what Simpson felt, in 2008, when she rocketed to stardom? Only time will tell. How does Francis bridge this great divide? Is the verbose coach ill-equipped to marshal two top female sprinters simultaneously? Will Thompson be the ‘apple’ of the coach’s eye if he develops another ‘new’ sprint superstar? These are hard questions to answer. If only this were a sprint to the 100m finish. Did someone say, One-Woman Man? Over to you, Coach Francis.